As I’ve mentioned before, I absolutely love teaching California history! 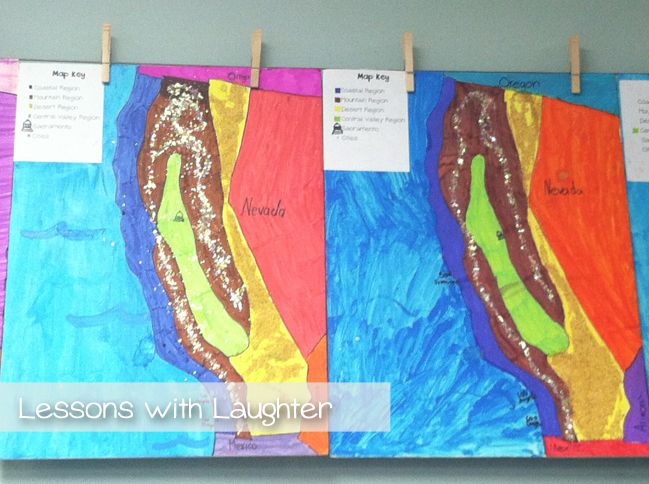 I also love getting fabulous ideas from my sweet friend LeAnn, who is an expert at teaching about California! 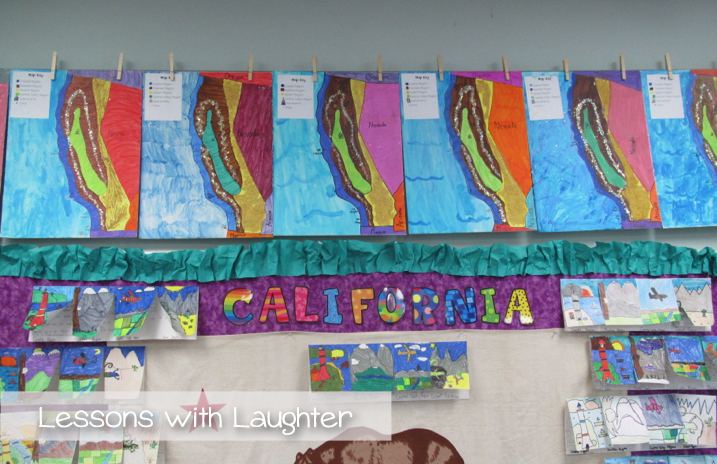 When I saw the amazing maps of California that her students had created a couple years ago, I knew I wanted to have my students make them as well! 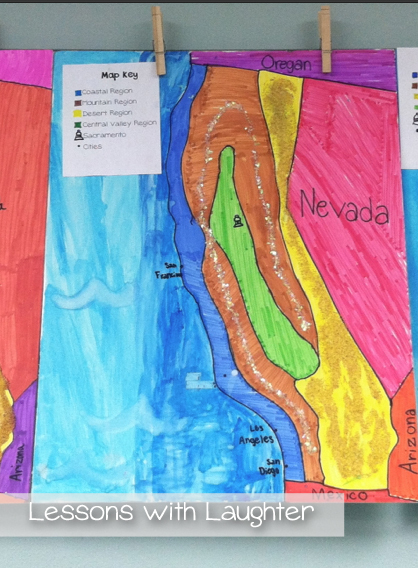 They can choose to color the surrounding states and Mexico any color they would like. Then we add a little extra touch to a couple of the regions! First, we add “snow” (white glitter) to the peaks of the mountains. Then we add sand to the desert region! After we are done with that, we add in our capital, Sacramento, as well as a map key that has the colors/symbols for the regions, capital, and cities, as well as some space down below for us to add Native American tribes, missions, etc. later on in the year! Each map is fairly large (15 x 20 in), and made of foam board, so I have always had a hard time figuring out how to display them. This year I am happy to have had a wire hung up against the back wall of my classroom, so they hang perfectly from there! 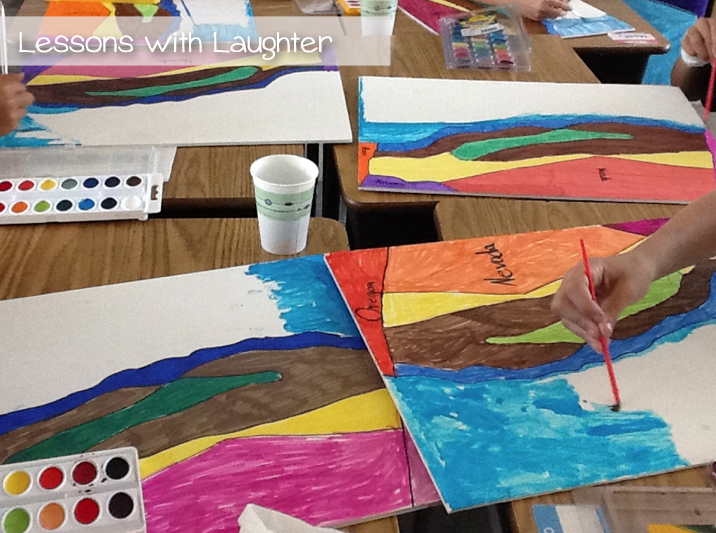 I am so thankful for LeAnn for sharing her wonderful, creative idea! 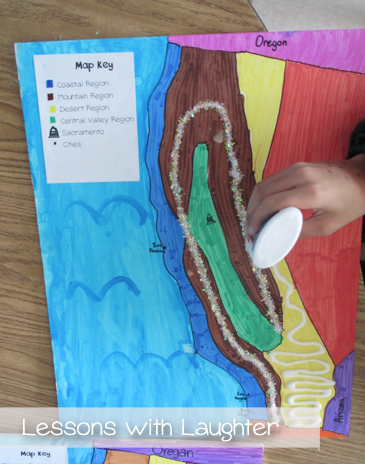 My kiddos have so much fun making their California maps, and it is a great learning process! Those look awesome! I do maps with salt dough. Molly, what size of foam board do you give to your students? I love these projects! I am teaching CA. History for the first time & am a little overwhelmed. 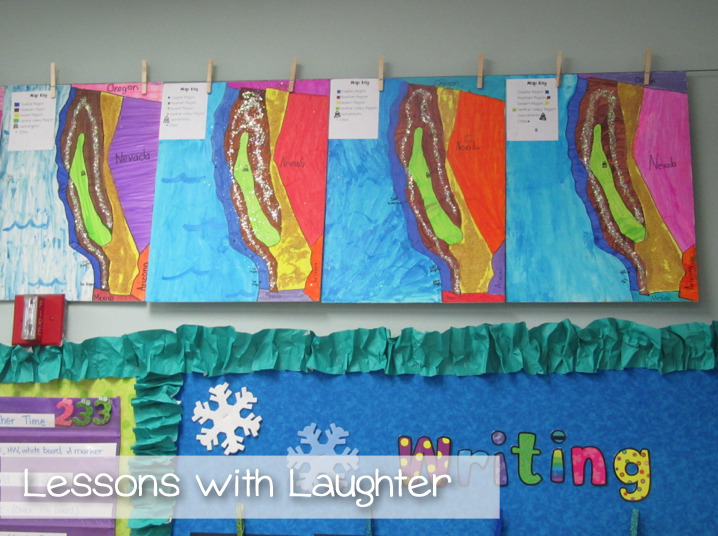 I want my lessons to be engaging and fun; not dry and boring. If you have any other ideas you are willing to share I would be more than thrilled to use them. I love these projects! I am going to teach CA. history for the first time, & am a bit overwhelmed. 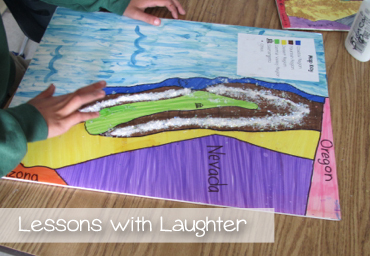 I want the students to have fun was they interact & engage in the process. If you have any other ideas you are willing to share, I would love to implement them in to my lessons.